Google has updated its Play Books app for Android with some neat changes to the interface as well as a new way to get suggestions for what to read next. 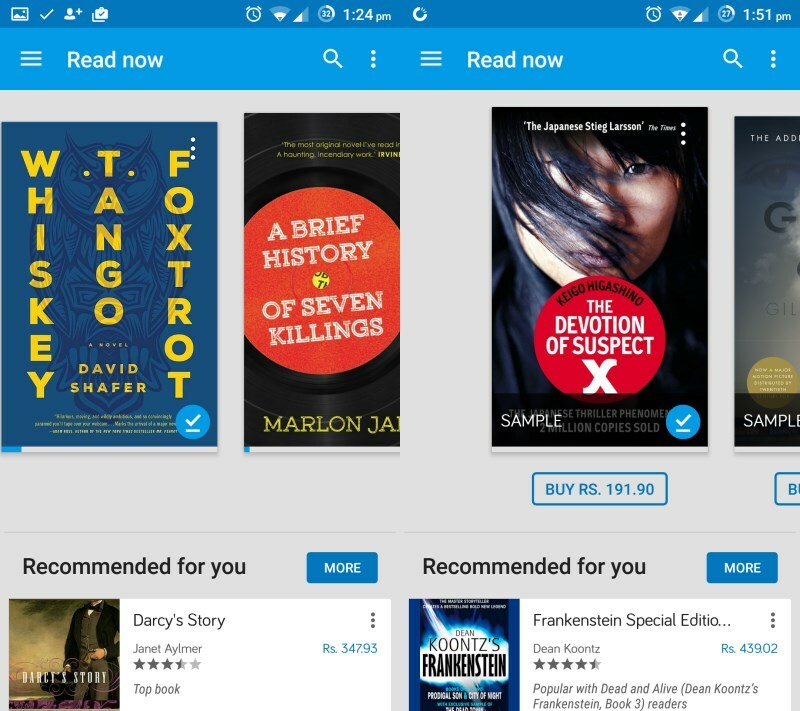 The revamped Read Now screen displays your recently read books in a horizontal carousel, along with progress bars to indicate how much you’ve read. You’ll also see Buy buttons beneath sample titles that are stored on your device. If you scroll past the recommendations to the bottom of this screen, you’ll notice a new section asking if you’d like to tell Google what kinds of books you enjoy. 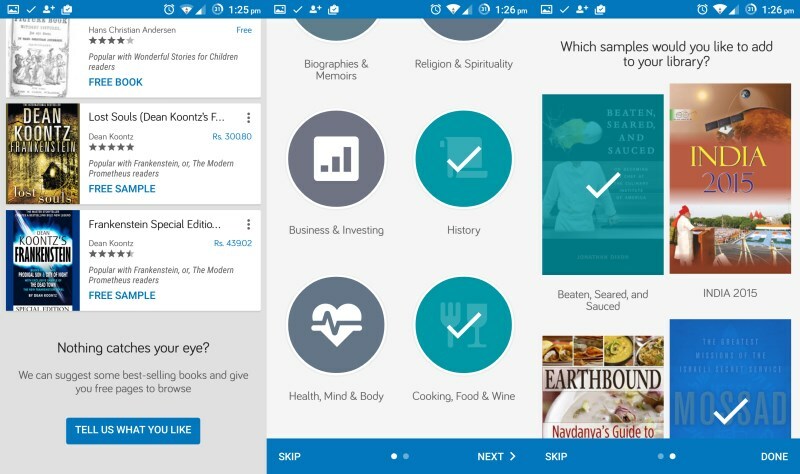 Once you’ve selected a few categories, the app will present free samples of books you might like. Play Books also has a new fit-width option for full-screen horizontal viewing, which should come in handy when reading comics and graphic novels. 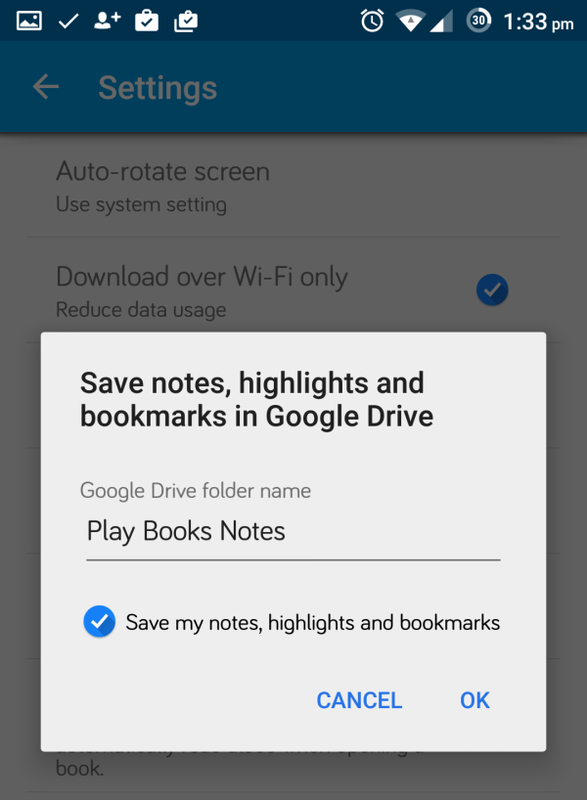 Plus, Android Police noted a new setting that lets you save notes, highlights and bookmarks to Google Drive. They’re supposed to go in a new folder, but I couldn’t locate it in my own Google Drive account. It’s possible that this is still in the works. There are also some subtle UI tweaks like a better My Library screen and book pages that let you flip them even when zoomed in. We’ve contacted Google to find out more about the new notes backup feature and will update this post when we hear back.